This self-drive journey takes you from the wondrous west coast to the remote West Fjords to the spectacular Snæfellsnes Peninsula. You will be convinced that the west is best after this trip. During your 7 days in Iceland, you can experience some of the country’s best-kept secrets and natural wonders. Imagine narrow fjords offset by jagged mountains, unspoilt scenery, well-preserved cultural traditions and the kind of tranquility that few places on earth can match. See a part of Iceland that few tourists get to experience. Collect your rental car and begin your journey today by driving through the bountiful Borgarfjörður area. Sights along the way include the twin waterfalls Hraunfossar and Barnafoss along with the Deildartunguhver hot spring, and Háafell Goat Farm. You also have the choice to join optional activities such as venturing inside of a glacier. 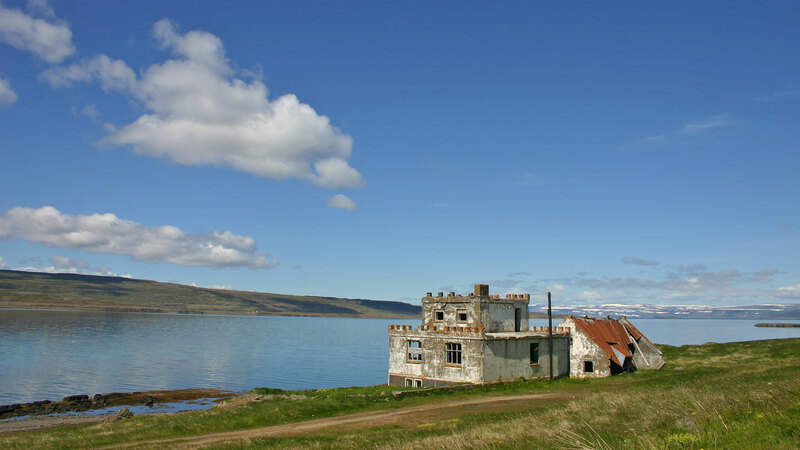 Continue your drive to Hólmavík, a quaint village in the Westfjords that is home to the Museum of Icelandic Sorcery and Witchcraft and a charming harbour. Explore the town at your leisure. Spend the night in Hólmavík area. Driving distance approx. 350 km/ 217 mi. 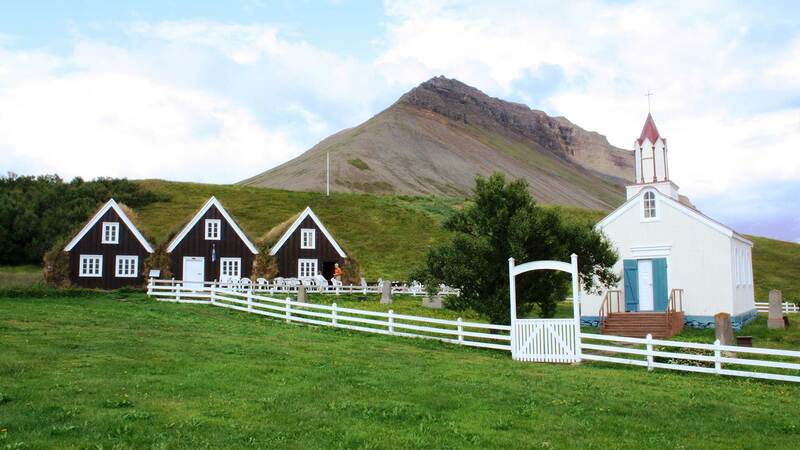 Start your day early from Hólmavík and get ready for a splendidly scenic drive to Ísafjörður. The coastal roads weave in between mountains and fjords, allowing you to enjoy awe-inspiring views. The journey is very much part of the adventure. 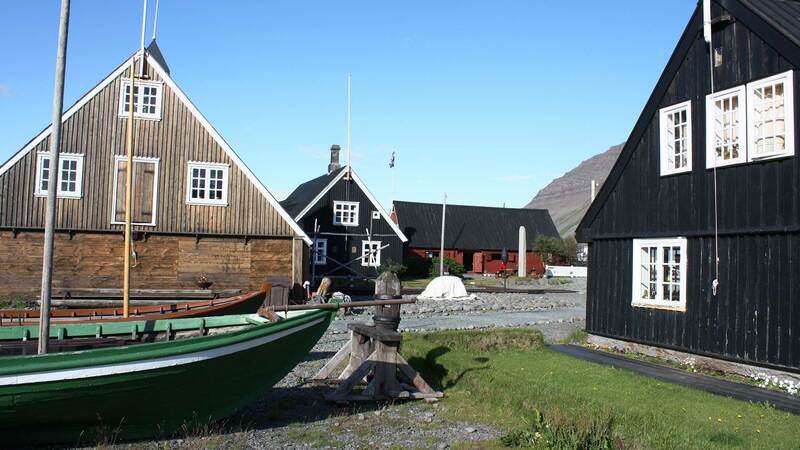 Once in Ísafjörður, explore the bustling downtown area close to the harbour, where there are shops, cafes, and museums. For those seeking a little nature, there are well-maintained trails just outside of town. After a full day, dine at one of the town's restaurants serving fresh fish. Spend the night in Ísafjörður. Driving distance approx. 220 km/137 mi. Today you will be treated to two pearls of the Westfjords. Be sure to have your camera batteries charged! Drive from Ísafjörður along Dýrafjörður to the delicate, yet powerfall Dynjandi waterfall. 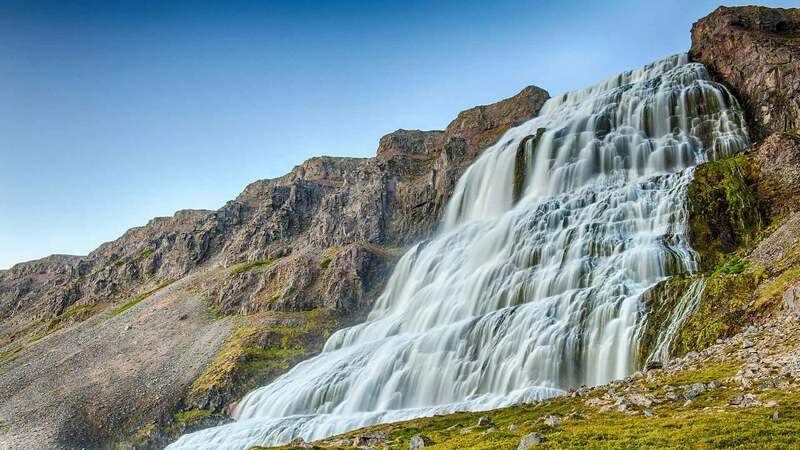 Often described to a bridal veil, the 7-tiered waterfall is possibly the most romantic one on the island, and the largest in the Westfjords. 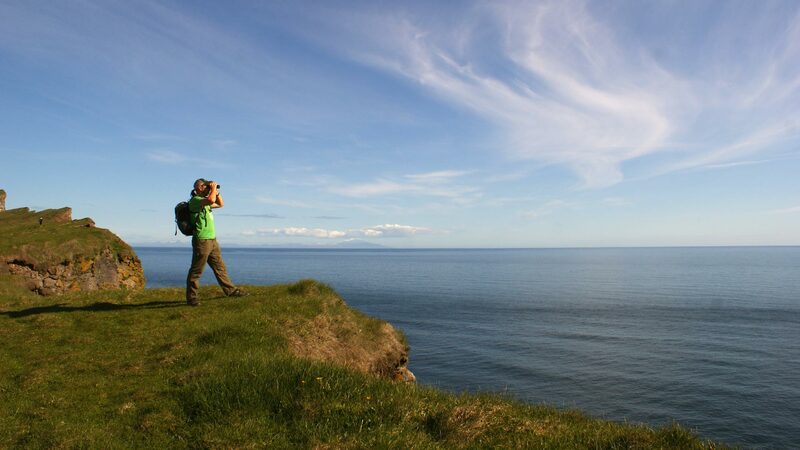 Next, drive to Látrabjarg, a favourite area for birdwatchers and puffin-enthusiasts. The gigantic bird cliff, which sits on the westernmost point of Europe, is dotted with thousands of birds during the summer months. Catch of glimpse of the adorable Atlantic puffins! Spend the night in Patreksfjörður area. Driving distance approx. 175 km/109 mi. 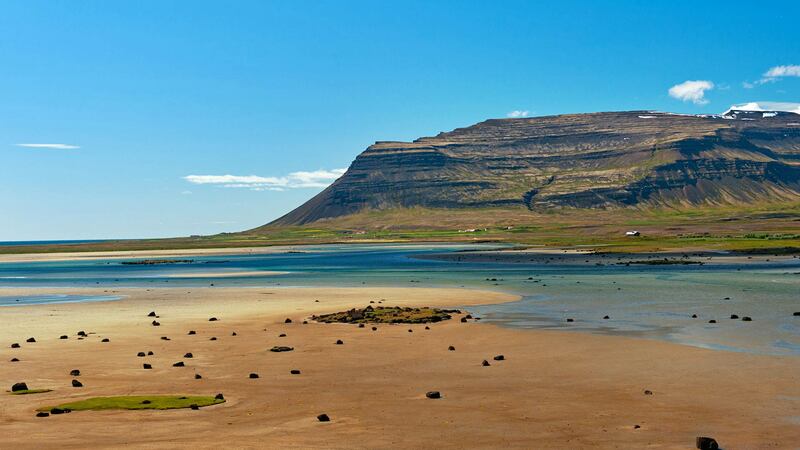 Kick off the day with an early visit to the rich golden sands of Rauðisandur, or take a relaxing dip in a natural hot pool at Vatnsfjörður nature reserve. 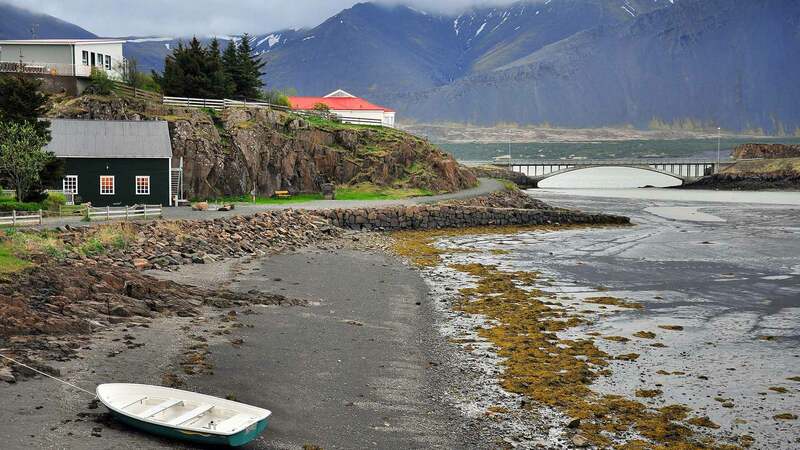 Take the Baldur ferry at noon across Breiðafjörður Bay to the village of Stykkishólmur on the Snæfellsnes peninsula, passing the island of Flatey along the way*. The duration of the ferry ride is about 2 Hours and 45 minutes. 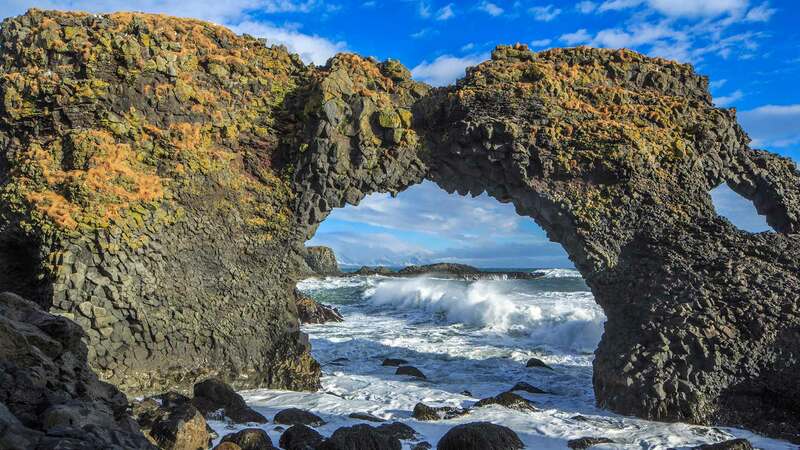 If you have time to explore after your arrival in Stykkishólmur, we recommend spending the afternoon roaming the region's unique sights, including Snæfellsjökull glacier in Snæfellsjökull National Park, the Dritvík cove and the small, charming hamlets of Arnarstapi, Hellnar and Búðir. Spend the night in the Snæfellsnes region. Driving distance approx. 165 km/102 mi. *In May and September, the Baldur ferry departs only in the evenings, so we recommend that you drive around the bay to Stykkishólmur village. The drive adds approximately 280 km / 173 mi to your journey, but it is very scenic. 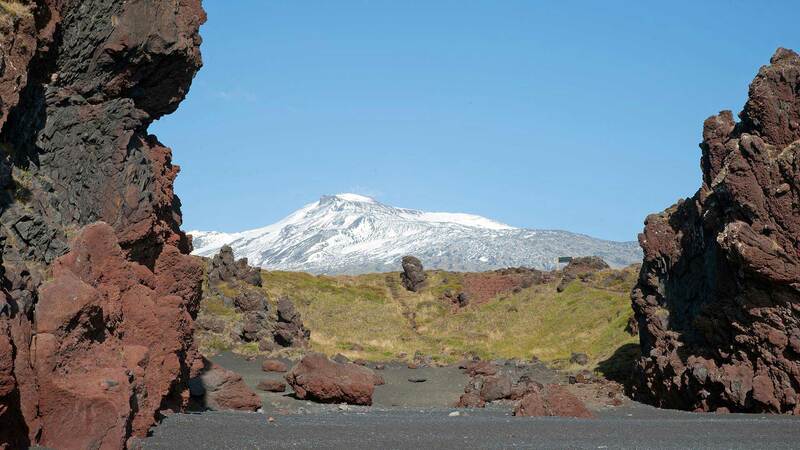 Experience the geographically diverse Snæfellsjökull National Park, with rich birdlife, lush valleys and lava fields. 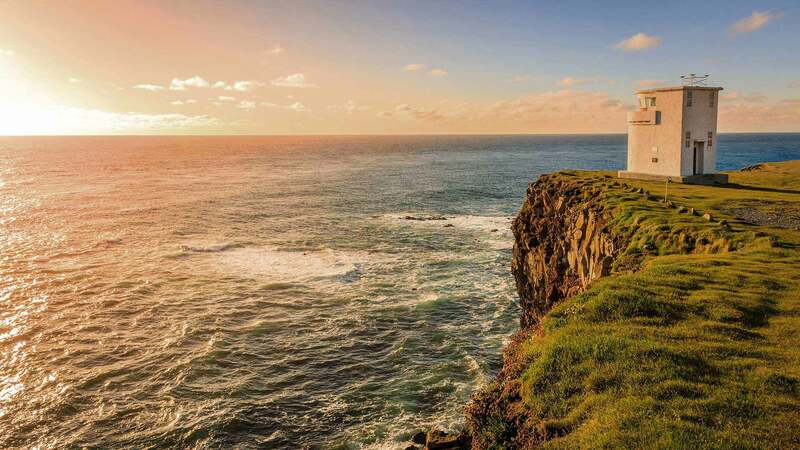 It's an ideal road trip to drive around the peninsula, exploring Dritvík Cove, Lóndrangar Cliffs as well as Hellnar and Arnarstapi Cliffs with its abundant birdlife and the quaint villages along the coast. You might wish to test your strength at the stones of the black volcanic beach of Djúpalónssandur like the sailors did years ago to prove their strength and vie for choice roles in ships. 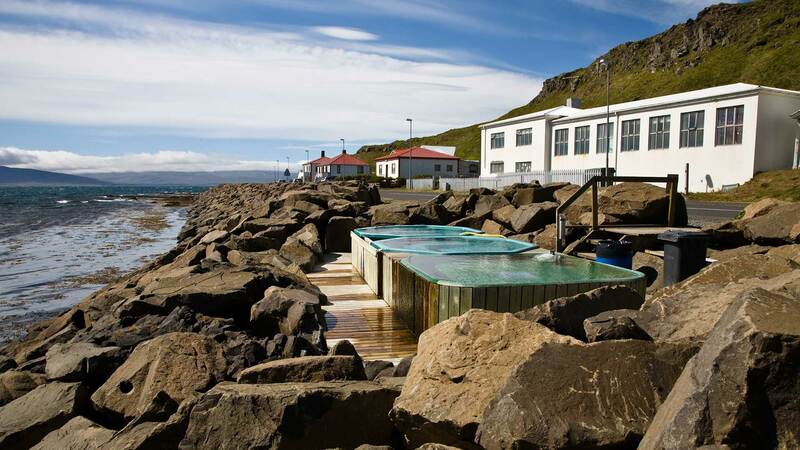 In Snæfellsnes, you can choose from a variety of activities such as hiking, taking a boat cruise or simply relax and take in the glacier’s alleged supernatural energy. 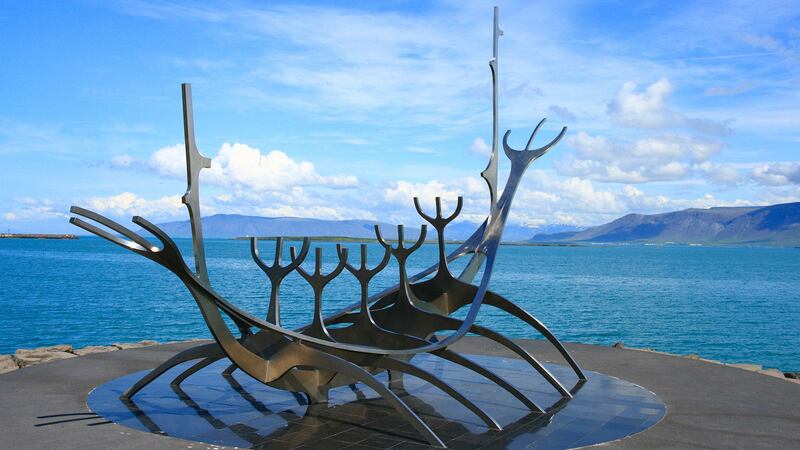 On your day of departure, a shuttle bus will collect you from your hotel in Reykjavík and transport you to Keflavík International Airport ahead of your scheduled flight. 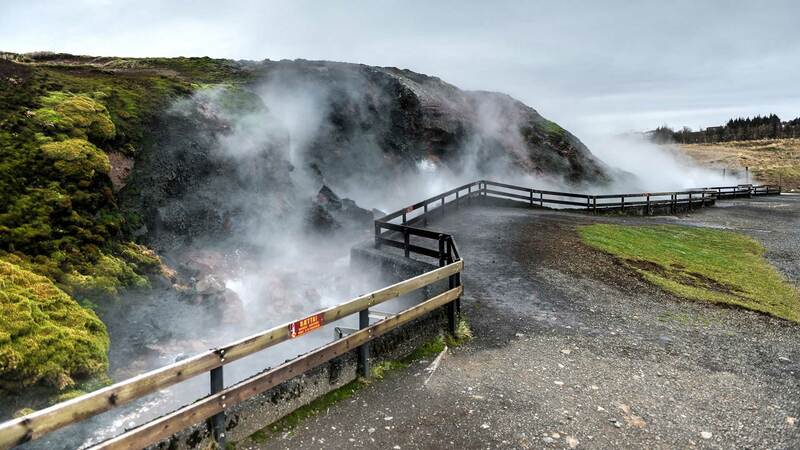 If your flight is in the afternoon, you can fit in a relaxing visit to the Blue Lagoon geothermal spa or even take a short guided tour of the volcanic Reykjanes Peninsula (optional; not included). Extremely impressed with Nordic Visitor, its staff and services-cannot be more complimentary. Did Iceland Full Circle in 2015 and Hidden Gems this year. Will book with you for sure if and when we go on anorher Scandinavian tour. Have recommended you to multiple friends already. Thanks again! I cannot say enough good things about our tour with Nordic Visitor! Every interaction, from first contact to the tour itself, was a pleasure. Sigfus was wonderful, addressing all our questions and issues in an efficient manner. The tour itself was amazing! We loved the quiet and natural beauty of the West Fjords and we enjoyed the flexibility of the self-drive tour to tailor our activities to suit our interests (and the weather). We would most certainly consider another self-drive tour with Nordic Visitor! A year ago, we had used Nordic to book a trip to Iceland. We enjoyed our travels in the country so much and had such an outstanding experience with Nordic that we used them again this year to book a trip to visit part of the country that we didn't see last year. We're already thinking of a return trip for next year--and will, of course, use Nordic again. Nordic Visitor put together the exact trip I hoped to take. I explained what I was looking for, what I wanted to see and do, and the general area I wanted to explore, and they came up with an itinerary that exceeded my expectations. They made everything seamless too. Once we were in Iceland, we didn't have to worry about a thing - it was all taken care of by Nordic Visitor. We stayed in excellent hotels and visited attractions we may have otherwise missed had they not suggested them. All of my correspondence with them was timely, professional and friendly. We made a few last minute changes (we upgraded our rental car, etc. ), and they handled it without issue. I would definitely use them again - for Iceland or any other of the destinations they cover. I had been to Iceland before and used a different company, and everything with that other company was much more difficult. I am generally accustomed to making my own travel arrangements via the internet, but due to time constraints I decided to choose a travel agent to take care of things for me. From the first questions to the last, Alexandra at NV was fantastic. She arranged everything as we requested it for our custom tour of the Westfjords of Iceland! She even rearranged accommodations at the last minute at our request and did so graciously and kindly. We fell in love with Iceland and will treasure our visit there for years to come. If we decided to visit another country serviced by Nordic Visitor Tours, we will once again call on Alex and her team! Can't go wrong!